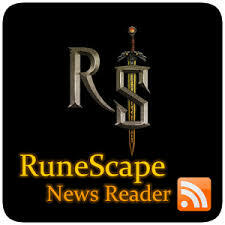 According to Runescape ,from 12pm UK time on 31st October to 12pm UK time on 3rd November, skill training yields twice the base XP on members' worlds, and 1.2x base XP on free worlds. Double XP Weekends are always big, bustling fun, and they're an awesome way get involved with the RuneScape community. The Community Team will be running an eight-hour marathon live stream from 2pm UK time on 1st November. It's sure to involve some Double XP-related high jinks, and they'll be giving out prizes on air. Be sure to tune into our Twitch channel! Want to know more about how Double XP Weekend works? Find full details of how the XP boost works on the wiki, as well as answers to many commonly asked questions. We're looking forward to seeing you all there! If you need any items in the game,please contact us!